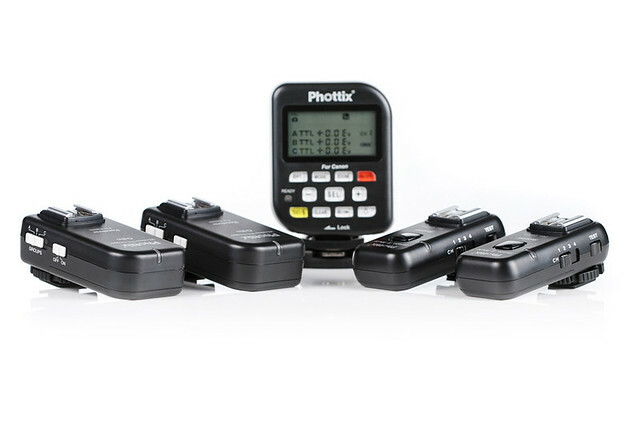 The Phottix Strato II are currently our top choice all round Manual radio trigger for speedlights (and studio lights). Just a few years ago the first great inexpensive radio trigger arrived in the form of the YongNuo RF-602. Although the 602 was a huge leap forward they still had some shortcomings which neither YongNuo nor the many other later options have managed to completely address. The Strato II are well designed, compact, reliable, great range and great to use. Standard plugs, cords, batteries, and easy access to all buttons locking rings etc. So for an all round manual trigger the Strato II tick all the boxes others seems to miss in one way or another. The Strato II may not be quite as cheap as some of the other popular options but they are still very well priced for the extra refinement offered. At around $50 -$60 a piece they are still a third of the price of PocketWizard PlusII /III. The Strato II have great quality hotshoes on the receivers which means you can go completely cordless with most speedlights. That’s a great convenience that even the new PocketWizard Plus III still don’t offer. This is also particularly helpful with flash units like the Nikon Sb-600/700 and Canon 430exII which don’t have a sync port to connect to directly via a sync cord at all. Those would require an extra hotshoe adapter otherwise. The Strato II are fast, not the fastest but right up there. What this means is you will be able to use your cameras maximum flash sync speed (usually 1/250th or 1/200th) without any black banding in the image from the cameras shutter curtain. With slower triggers like the RF-602 it’s inevitable that you will need to eventually drop the shutter speed back to at least 1/200th to retain a clear frame without black banding. This can get much worse with a full frame Canon 5D for example which only has a 1/200th sync speed to start with, the Strato will at least retain that full 1/200th. With cameras like the Nikon D70 and D40, and many point and shoot cameras, which have an electronic shutter its also possible to see what the absolute maximum sync speed of the triggers are. The Strato II are around 1/1250th, while the RF-602 would only do 1/800th, and the later RF-603 even slower around 1/600th. The Strato II have a great group function. This simply means you can set your lights to separate groups and then be able to turn each one on and off quickly from the camera. That’s great for metering lights separately when setting up, whether your using a light meter or camera LCD . But you can also use this to turn lights on and off which are set up in remote locations. The big improvement the Strato II have made here though is the group selection buttons on the transmitter. You can quickly switch each group straight on or off at the touch of a button, while many current comparable triggers make you scroll through a whole list of group combinations to find the one you want, which is often just not practical for regular use. Another great feature of the Strato II, Phottix where the first to offer full TTL pass through hotshoe with their original Strato triggers. 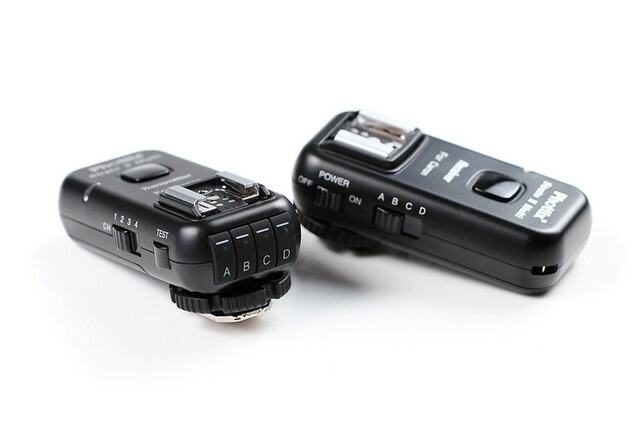 This pass through allows a flash to be used on camera with all of its regular TTL functionality, while other slave flashes are still triggered in manual via the radio trigger. The Strato unit itself has no TTL function, it just allows the the TTL information to be passed through from the camera below to the flash on top. Phottix have refined the neat fit between camera, transmitter and flash so there is very little movement in the flash when mounted on top of the transmitter. These are one of the few triggers I would actually trust to properly support a flash on top of the camera and transmitter like this. The Pass through hotshoe is also ideal for using an AF focus assist light like that on a Canon ST-E2, or just the AF light on a speedlight. Phottix have even added a second test fire button on the transmitter so that it’s easy to access with a flash mounted on top. You may notice I mention this a lot, but compatibility is really one of the most important things when considering a new radio trigger beyond the very cheap options which are pretty much disposable. Unless you want to be constantly clearing out your complete current system every time something new comes along its worth considering carefully what backward and forward compatibility are offered. Phottix have shown some commitment with backward compatibility to the original Strato triggers and now forward with the new Odin ETTL triggers. The Odin transmitter will fire the Strato II receivers (but not the other way around) as manual receivers only with corresponding group functions. This makes the Strato receivers great value as add-ons to the Odin system for simply firing non ETTL lights like manual flash and studio lights. The Strato II can also be used as a remote shutter release and all the required cords are supplied for your brand of camera. The release has a 2 stage button for half shutter press functions like autofocus etc. Note – If you want to fire a remote camera as well as remote flashes at the same time you will need a second set of Transmitter and Receiver. This is one area triggers like the YongNuo RF-603 have an advantage. Because they are transceivers they can act as both transmitter and receiver and do not require the second dedicated transmitter. You pay for that though in things like the reduced sync speed and mounting options due to the hot foot on both transmitter and receiver. Having a second transmitter unit also acts as a back up, which is generally the other advantage of transceivers. This is where the separate transmitter and receiver of the Strato II does have an advantage, because unlike transceivers they don’t need a hot foot with electrical contacts on the receiver. This means they can have a threaded mounting hole directly on the foot which is the most secure way to attach them, and doesn’t add extra height like an additional clamping cold shoe. You can screw a stud directly into the base when using umbrella swivels or attach the trigger directly to various brackets etc via a thumbscrew. Shown below the PocketWizard TT5 (left) being a transceiver has both a hot foot with electrical and a threaded mounting hole. This should be the best of both worlds, but the offset in the threaded mounting hole can cause a number of issues when trying to align the trigger and flash into various modifiers. While the Phottix Odin, and Stato II pictured right have a simple centred mounting hole which often makes solid mounting much easier. Did you mean transfer TTL to the flash on top of the camera (pass thru hotshoe) or to remote slave flashes? If its just the pass through hotshoe, then no the Strato II are still the current version. There’s not really any other completely comparable or better version available. You would have to be looking at higher priced TTL triggers really. Thanks. Hi, i was thinking about pass thru. Thanks for info – im looking only just triggers, im not interested it TTL. Are these compatable with the Yongnuo 603 ???? Sorry no, the Phottix Strato II are definitely not compatible with the YongNuo RF-603. You would be hard pressed to find many triggers at all that are compatible across brands. Thanks. bought it – love it! is it compatible with every Yongnuo Flash like 560, 465, 565 ? The YongNuo flashes should all work fine on the Strato II receiver. Though the YongNuo TTL flashes do not work on top of the Strato II transmitter’s pass through hothshoe when mounted on top of the camera. In other words you can’t use a YongNuo TTL flash on camera, and the Strato II transmitter at the same time. Thanks. 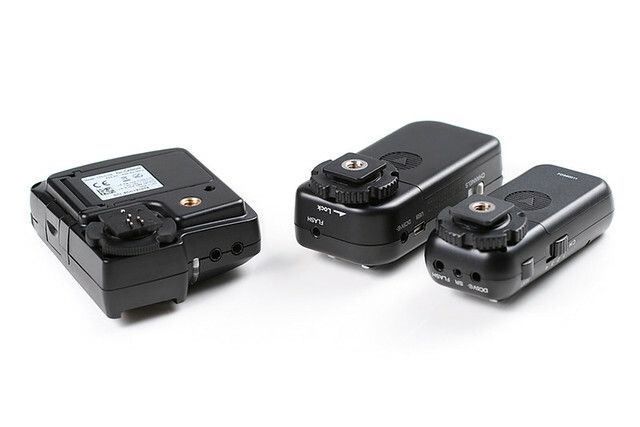 I own the Calumet Pro Series Quad+ 2.4 Ghz Transmitter and receiver kit for Nikon systems. I wanted to pick up an extra couple of receivers from them, but they have recently gone out of business (bankruptcy). I read on someones blog that the Phottix Stratos 2 are compatible with the Calumet system that I have. The blogger stated that the “guts”/electronics are exactly the same and just placed into different chassis for the Calumet brand. Is there a way to confirm if this is true? If so, I will definitely be purchasing a few of these baby’s real soon. Yes that is correct. The Calumet Pro triggers are just the first version Phottix Strato. They do not have the group setting like the current Strato II. So your Calumet (or original Strato) receivers are compatible with the Strato II transmitter, but not the other way around. You probably can still find some original Strato receivers if you look around enough. Though you may be better off just moving to the Strato II, and combining whatever Calumet / Strato receivers you have already. Any new receviers could then be Strato II as well. Your receivers are also compatible with the current Phottix Odin, and Atlas II triggers, as well as the Mitros+ flash with Odin transmitter built-in. Thanks. Phottix says on their website that there is a Sony option. I was wondering if that includes the A7? There don’t have a list of supported Sony cameras. I’m really not sure about that one. It would be best to contact Phottix directly and check. The Sony version Strato II have the proprietary Sony shoe as far as I understand, but also the shutter release cable could be another issue. So I’m not too sure how compatible they will be. Can you put a YN 622 TX on top of the Phottix Strato II and pass TTL information to the YN 622N? Sorry I don’t have the Nikon versions to test this. I’ve tried the Canon versions with the Strato II on top of the YN-622C, and that appears to work fine (a little more on that here). The Strato II have issues with YongNuo TTL flashes mounted on top of the pass through hotshoe (they are fine mounted on the receivers though). So I’m not sure if there may be a similar issue with the YN-622N, but mounting the Strato II on top of the YN-622N should be pretty likely to work at least. Thanks. You can’t adjust manual power levels on a remote flash with the Strato II if that is what you are meaning. 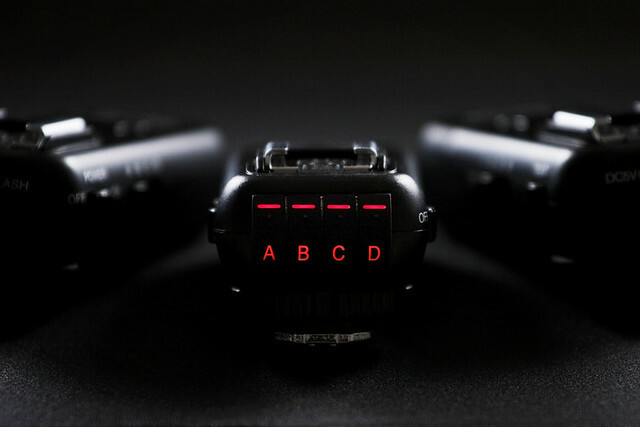 The Strato II only allow you to turn flash groups on and off from the transmitter. Channel and group selection are via the buttons on the side and back of the transmitter and receiver. Thanks. I have a Sony A7s and just bought the Phottix Mitros+ Flash. I want to use the flash off camera and trigger it with something like a Odin but can’t afford the Odin right now. I’d like TTL functionality. Can I use a Stratos II on camera to trigger the Mitros+ flash with full TTL functionality?? Sorry no you need the Odin transmitter for TTL function. I’m not sure about the Sony version, though the Odin Transmitter alone is usually around $99, compared to $99 for the Strato II TX & RX set. (As I’m not sure if you can buy a separate Strato II transmitter). Thank you. I’m a bit confused. Can I purchase just the Phottix Odin Wireless TTL Flash Trigger Receiver for Sony, not the Odin TTL Flash Trigger For Sony – Tx/Rx Set. I’m just getting into off-camera flash and need a way to trigger my Mitros+ on a flash stand. The Canon and Nikon version Odin transmitters are available separately. But I’m not sure about the Sony version. Phottix only have the TX/RX set in their own store, but I don’t know if the transmitter may be available separately somewhere in other stores. You would be best to contact Phottix to check on that one. Thanks. I need to remotely fire a camera and several flashes; how do I achieve this ? With Phottix Strato II you would need a second set of triggers to be used as the shutter release. They need to be set to a different channel to the set of triggers used to fire the flashes. So this is like using a completely different wireless shutter release unit. And you could certainly just use a more dedicated wireless shutter release instead if you wanted to. The only advantage really of using more Strato II triggers for this is that you have back up or extra flash triggers then as well if needed. If by any chance you meant you need to fire a second remote camera, then that is different situation and a lot more complicated. Yes you can trigger a Strato II with an Atlas II as transmitter. EDIT – Sorry no, it only works with Strato II as transmitter to Atlas II as receivers. Sorry it looks like you are right, I was not aware of that. It seems quite strange, I realise the group feature would not work, but I’m surprised the Atlas II will not trigger a Strato II receiver at all. Only the other way around it seems. Do you know if the Strato is compatiible with the Cheetah and/or Godox flashes? I’ve searched all over the internet for this answer and can’t find it anywhere. Thanks! When you say compatible, the Strato II are mainly just manual triggers, and they generally fire the Godox flashes fine. If you want remote manual power control though, you still need the Godox FT-16 triggers to allow that, even if using the Strato II to fire the flashes. The one place I’m aware of that Strato II have compatibility issues is with YongNuo ETTL flashes placed on the Strato II pass through hotshoe on the camera. I’m not aware of any issue like that with the Godox TTL flashes though. I know a number of people use the Strato II with their Godox flash sets, because they allow you to turn groups (or flashes) ON and OFF from the camera as needed. The Godox FT-16 transmitter alone makes that difficult otherwise. I’m considering these triggers due to their price and all that you gain. Only problem is that they DON’T support HSS. Hope to get them soon. I am interested in getting the HSS functionality out of the Rovelight. Can I use the strato II triggers to trigger the flashpoint Rovelight? If do you know if I can use the Oden ETTL trigger to do that? The Strato II doesn’t trigger above 1/250 so no HSS. No the Strato II can not provide any remote control unfortunately. You would need the Odin II receivers for the 580EX II and 430EX II, which will provide remote manual, as well as full TTL and HSS etc. Hi Team, have a small query. My requirement is to use one on camera flash (Nikon SB 910) in TTL mode to light the subject from front along with another offcamera flash triggered for back lighting. Will Phottix Strato™ II Multi 5-in-1 Wireless Flash Trigger for Nikon help me with this requirement? I am currently using D800 and D810. Yes the Phottix Strato II are good triggers if you need a pass through hotshoe for on-camera TTL or manual flash use. Though the off camera flash is manual only, with no remote power control, or any remote control function other than turning flashes/groups on and off. So as long as you only need to simply trigger the off-camera flashes the Strato II are a good option. I have a Phottix Strato TTL Transmitter and Receiver. Camera Nikon D7100 Can this system trigger a Yongnuo off camera Flash. (Slave) I am considering buying a Yongnuo Flash.